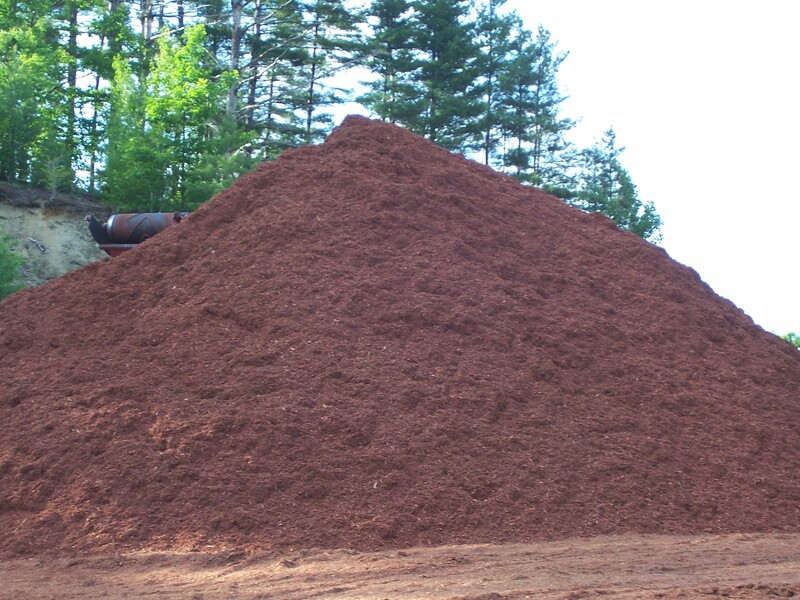 Our bark mulch comes in a variety of colors. All products are comprised of many species of wood and are color enhanced to keep the rich, fresh color longer in the season. The colorant we use is a powder of natural components. Bark Mulch is applied to a garden for a number of reasons, including a desire to keep weeds down, to help the soil retain water, and to enrich the soil over time. Mulched gardens also tend to have a more even, finished look which is considered desirable for some gardeners. Bark mulch is ideally suited to mulching because it breaks down fairly readily, enriching the soil without trapping nutrients and water in the mulch, and it can be very aesthetically pleasing. Cedar and pine are popular barks for mulching. 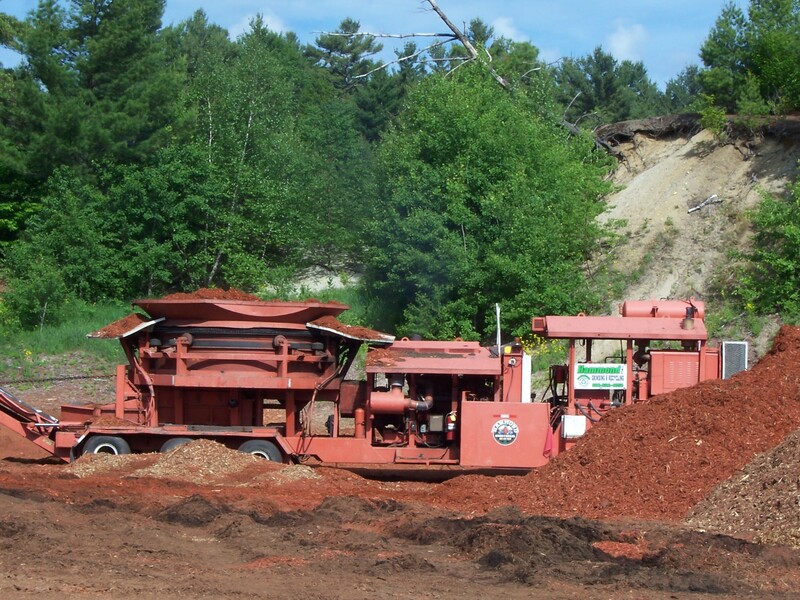 The bark can be broken into chips or ground into finer material, with some companies dying their bark mulch while others leave it naturally colored. For small plants, a finer bark mulch is recommended, because chips can overwhelm the plants visually since they are so large. A large chip mulch can also tend to encourage weeds, which can grow in the cracks between pieces of mulch, and it can take longer to break down, appearing ratty long before it has broken down all the way, which encourages gardeners to add more mulch before the previous mulch has been absorbed all the way. Gardeners should apply bark mulch at about a finger's depth, raking it to ensure that it is evenly distributed. It is also important to give plants some breathing room, rather than mounding mulch up around them. 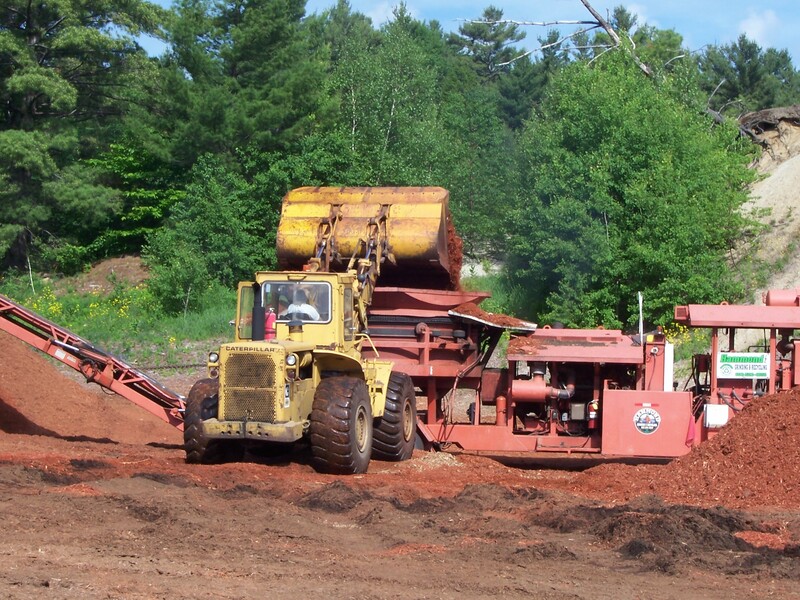 Mulch must also be allowed to completely break down before a new layer of mulch is applied. If mulch is partially broken down and unpleasing to look at, it should be removed before more mulch is added. Layering mulch on top of mulch can increase the acidity of the mulch, which is bad for the plants, and it can trap water and nutrients in the mulch before they have a chance to reach the soil.